For those of you who have taken her class, but couldn’t find the free time to finish your project or are stuck and need some help… join the others at the Roundtable to finally get it done. There will be a full forum for posting, and plenty of good discussion and advice. This course runs over a 10 week period. Montage is the art of composing a single composition by juxtaposing or superimposing many pictures or designs to give the illusion that the elements belonged together originally, forming a new blended whole. 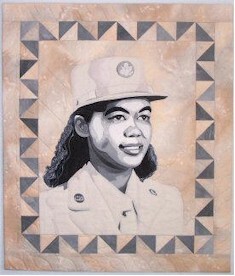 You will also learn how to translate this into an exciting new art quilt. 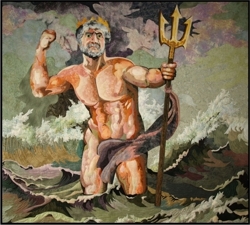 This quilt of Poseidon is used as one of the samples in this class. Registration now open… Click here to join in the fun. Open up your horizons . . . I will show you how to bring the basic tools of an artist to the world of fabric. 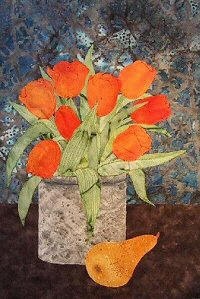 From a still life to a landscape, learn how to get exciting results by applying the artist’s methods and composition tools to your quilting. 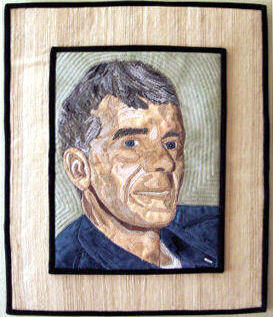 Learn how you can create quilts of emotion and depth. 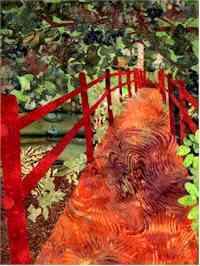 This course will give you a new perspective that will change how you approach your quilting projects. Simple exercises will let you practice what you learn without a major project commitment. All levels. Four Lessons. Marilyn is also available to give an informative and entertaining talk to your group. Workshops are more intensive, ranging from a full day to five three-hour sessions. For more details, see below. 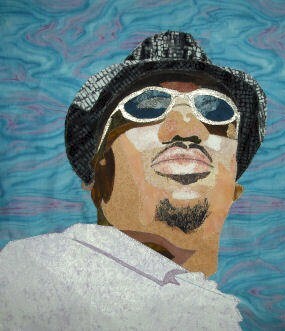 Learn to prepare a posterized image from a photograph, and produce a line drawing for transference to muslin, in preparation for applique in making realistic portraits. No drawing skills needed, just a basic understanding of computer operation (demo only-not hands-on). Bring a photograph that you are contemplating using for making a realistic portrait. There will be grab-bag selections of your photos for the posterization demo and the line drawing. Discussion of the pros and cons of using the photo selected by you will take place after the demo (as time allows). During some classes in order to learn as many different styles as possible, students will develop samples rather than completing a class project. A Workshop that guides you through the transference of design, applying fabric, and free-motion machine embroidery for embellishment of Portraits. Students must bring a sewing machine with Zig Zag and “feed-dogs down” capability to class. Students will work from a kit that includes a variety of facial features ready for transference (included in material fee). Students have the option of selecting which features they prefer to work on, i.e. – a smile with teeth, eyes, eyeglasses, hair, etc. In order to learn the different techniques, students will develop samples rather than completing a class project. Full supply list and preparatory instructions available on registration. Student level – Intermediate to advanced. 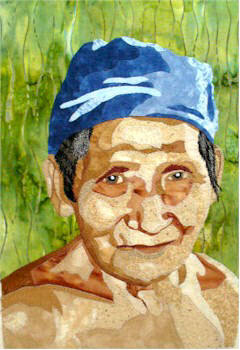 PORTRAITS (5 weeks – 3 hr classes, once a week) for Guilds and shops within a 100 mile radius from Caldwell, NJ only. 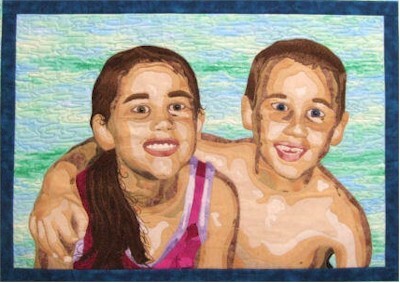 Create an heirloom from a photograph of someone in your family, the family pet, or some very special person in your life, You will create life-like fabric portraits using the proper selection of fabrics, light and shadow, fusible webs, and threadpainting. Sewing machines with “feed-dogs down” capability a must. Students will go home with completed “top.” Preparatory instructions and a complete list of supplies available on registration. Student level – Intermediate to advanced. PORTRAITS can also be done as an intensive weeklong workshop. Lectures and workshops may be combined. However, if a variation, combination, or a subject other than those presented above is desired, a discussion of it’s feasibility will be necessary before concluding arrangements. 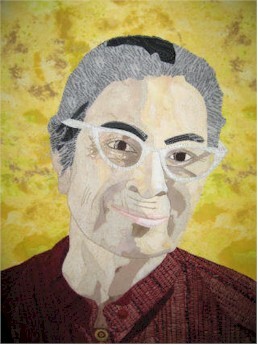 Please send me any information about your on-line portrait class. What is your schedule/price for coming to speak to our guild? We are in Athens, Alabama. Yes, Diana, I am still teaching. 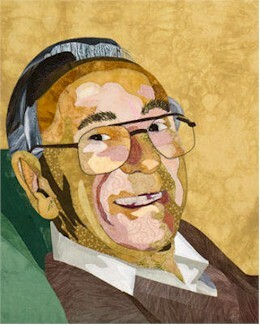 However, I teach on-line at http://www.academyofquilting.com You can also contact dean@academyofquilting.com for questions. I love your work and would be interested in more information about your classes. 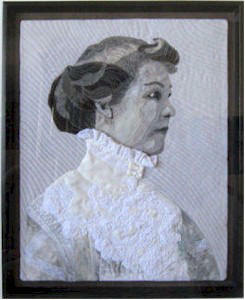 I live in Monmouth County and I’m the program person for Rebecca’s Reel Quilters. Hi I am the scheduler for CAMEO QUILT GUILD We are looking at the 2018-2019 year. 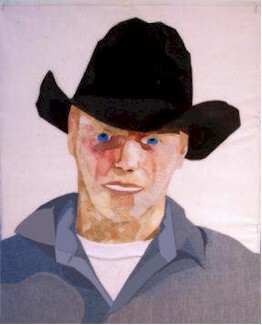 Could you please send me information on cost for the lecture Techniques of the Art Quilt and workshop Dealing with faces.